Sep 1 – This is the best time of year to establish a fescue or shady area lawn. Proper soil preparation is essential for a good fescue lawn. Till to a depth of 3 – 4 inches and incorporate organic matter into the soil such as compost or soil conditioner with a non-burning starter fertilizer. We also recommend using Natural Guard HuMic, granulated humic acid, when seeding. This product has long been called “Fescues best friend” because it supplies important humates and greatly enhances your turf quality. Sow a turf type fescue seed at 10 lbs. per 1000 sq. ft. (Re-seed rate is 5 lbs. per 1000 sq. ft.). We recommend 5 Star Fescue or 5 Star Extreme for heavily shaded areas. 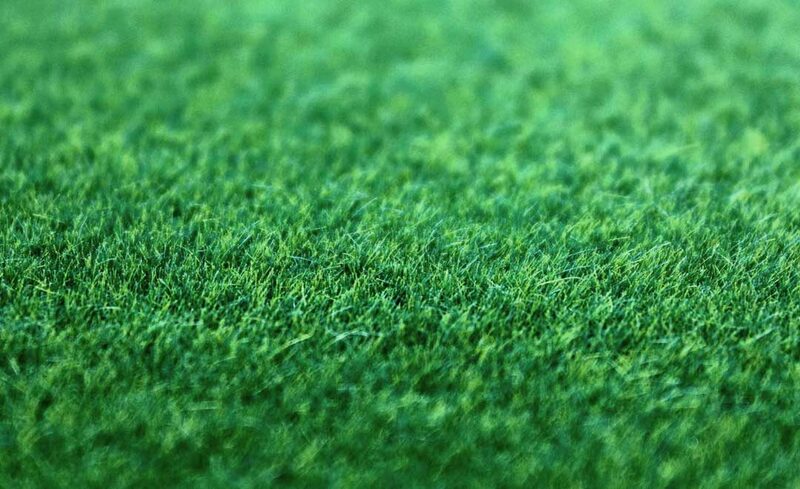 5 Star is a blend of the top rated turf type fescues chosen for disease resistance and their shade, drought and traffic tolerance. Fescue seeds germinate in 7 – 10 days and it is imperative that the soil and seeds stay moist during that time. Allow the soil to dry out could cause seeds to not germinate properly. Check your pH. Fescue prefers a pH of 6.5 so apply lime if needed. A 40 lb. bag of pelletized lime should be applied per 1000 sq. ft. to raise the pH approximately ½ to 1 point. Re-check your pH 60 days after applying to see if additional lime is needed. Bring us the equivalent of a 16oz cup or more and we will be happy to test your soil pH for free. Oct 15 – Apply a slow release lawn fertilizer to new and/or existing fescue. We recommend Ferti-lome Classic Slow Release. Keep the leaves off fescue by mulching with the mower, bagging or raking. Mar 1 – Over-seed new fescue lawns, or thin established lawns, at 5 lbs. per 1000 sq. ft. If reseeding is not needed, then apply a pre-emerge herbicide such as DIMENSION® to prevent summer germinating wild grasses and weeds. Apply Ferti-lome Classic Slow Release fertilizer. Mar 15 – Spot treat broadleaf weeds with a broadleaf herbicide containing CARFENTRAZONE® like Ferti-Lome Weed Free Zone. Fescue is very tolerant of these herbicides but caution must be used in the root zone of trees. Do not apply these products to newly seeded areas or apply seed into areas recently treated. Apr 15 – Apply Ferti-lome Classic Slow Release Fertilizer or Ferti-lome lawn food plus Iron. Summer – Fescue growth slows when soil temperatures rise into the 70’s. Mow as infrequently as possible to avoid stimulating growth. Mow as high as possible with a good sharp blade to leave the majority of leaf blade for light absorption without allowing the grass to lay over on itself. You should not fertilize with synthetic type foods during the summer months, however you can re-apply Natural Guard HuMic , granulated humic acid, to improve the color and an application of Milorganite appears to enhance photosynthetic activity to help fescue tolerate more shade. Water twice a week during periods of heat or drought stress. Fescue should have the equivalent of 2 inches of rain per week. Lime – Liming is one of the most important things you can do for your lawn. Try to keep your pH at 6.5 to produce a quality turf. Check your pH yearly and if needed add a 40 lb. bag of pelletized lime per 1000 sq. ft. That will raise your pH by approximately ½ to 1 point. After 60 days, check your pH again to see if additional lime is needed. Watering – Water thoroughly when you water. Deep watering encourages deep root growth and helps protect the grass during periods of drought. Always read and follow all instructions on herbicides. Many have temperature or time of year restrictions that need to be followed to prevent damage to your lawn or surrounding plants. Use particular caution in and around the root zone of trees and other desirable plants. Spot applications are safer than broadcast applications around trees. Fertilizer – Avoid agricultural grade fertilizers such as 6-12-12, 13-13-13 or ammonium nitrate. These products stimulate excessive growth that you cut off when you next mow. This removes too much green tissue, exposes stems and allows the sun to dry the surface. Use controlled release fertilizers for a healthier lawn. Seeding – September is the best time to seed. You are entering its growing season and have 6 months to establish the grass before the stress of the summer. Temperatures are right to overseed in March, but there isn’t much time before it slows due to the heat. Turf type fescues like 5 Star have proven to be the most successful cool season grass. You may see other types of grass such as Kentucky bluegrass, Creeping Red Fescue or Perennial Ryegrass, but these have not proven to be dependably hardy in home lawns. Organic Options – Corn gluten as a pre-emergent, Milorganite in place of Ferti-lome Classic Slow Release.